I've mentioned before that I'm a big fan of designers who flaunt their cultures in their works instead of regurgitating popularised styles. 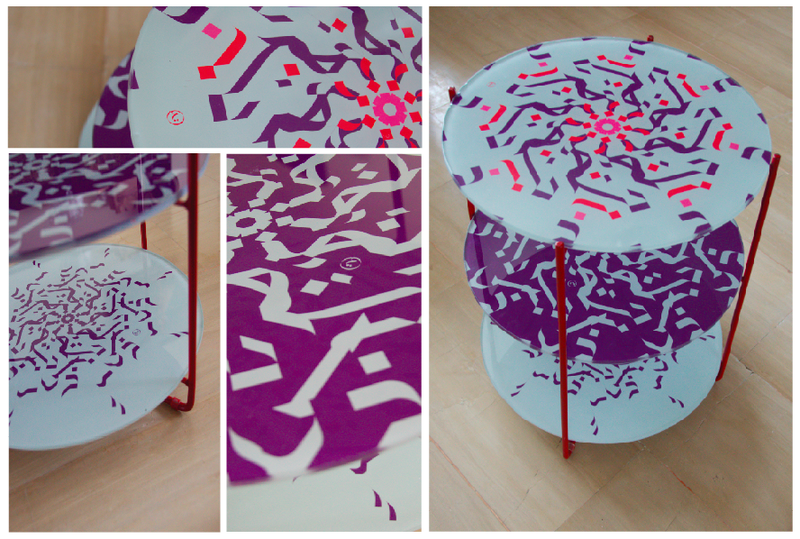 In the past few years, we've seen many attempts wherein oriental designs are integrated into everyday products. But, they hardly make it out of the artisanat stores. Traditional designs need a makeover fit for today, not the past century. Approaching oriental features with the modern consumer in mind is the right way to go. alephya, an emerging brand (of everything, really) did something of the sort. 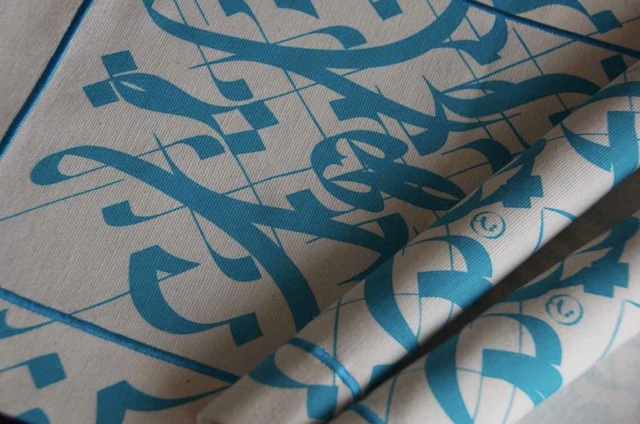 Founded in 2011, the brand uses the line quality of Arabic letterforms in unintelligible motifs, creating spectacular patterns on different products; a "midpoint" between calligraphy and arabesque motifs. I chatted with the people behind alephya to find out more about their up-and-coming venture. Can you give me a general overview of Alephya’s line of work? alephya is a story of encounters; encounters between people, languages and cultures. 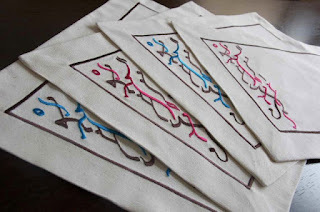 It is an unexpected journey to discover a new, creative unexpected world driven by the universal aesthetic of the calligraphic line quality of the Arabic letterform. 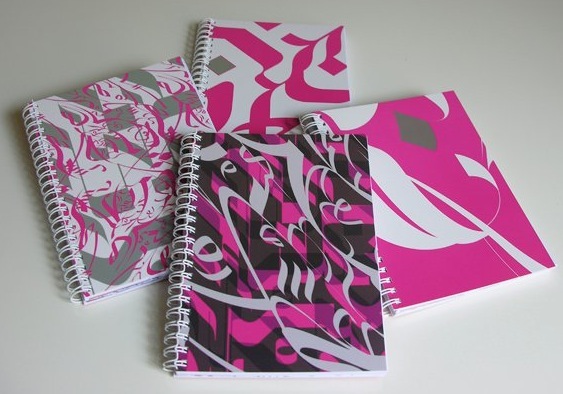 alephya is the first brand to emanate from an aesthetic that borrows from both Arabic calligraphy and oriental arabesques, without being recognized or tagged as neither of them. Halfway between those two formal expressions, alephya's visual realm hovers around the orient, a new orient, with a twist. 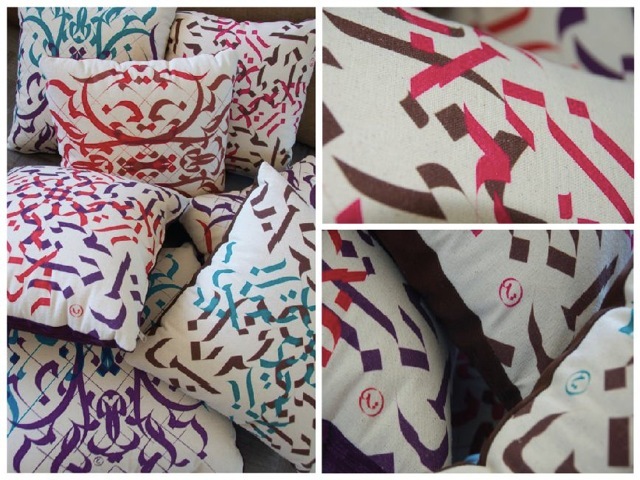 Using its own unique patterns, alephya is creating lifestyle products for those who are looking for something different, but something that maintains an Oriental touch. 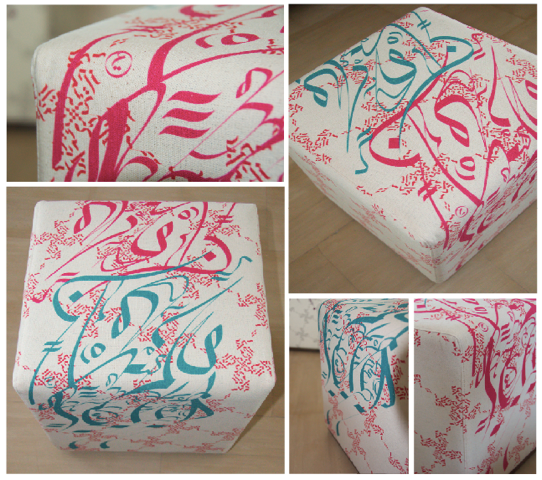 Our brand offers products from furniture, to home accessories, to fashion. As a lifestyle brand, it is based on the principles of elegant living, artisanal tradition and cultural relevance. Nathalie Fallaha, Dina Abou Zahr and Serine Dalloul are the three faces behind the alephya brand. 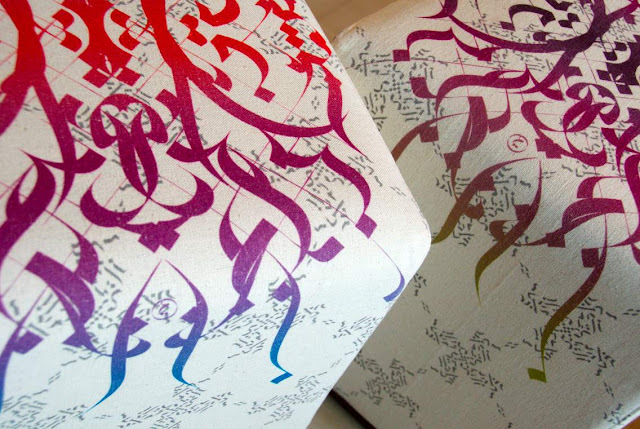 Equally infatuated with the Arabic letterform, the purity of its line quality and the visual poetry behind it, they are the first and only to undertake its liberation from formal calligraphy as it is known, creating this infinite world of motifs and prints. In your opinion, how do regional designers compare to international ones? The increased presence of regional designers internationally shows how much the region has to offer in terms of creativity and potential. Middle Eastern designers are starting to set a footmark on the international scene, a very exciting time for us to be recognized as a hub for creativity. 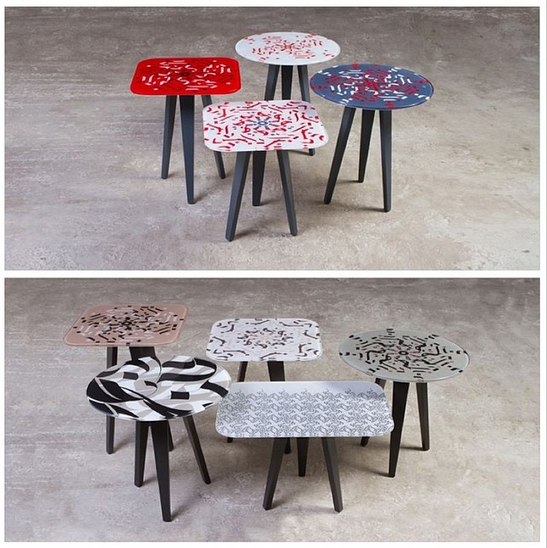 Is there a focus on furniture, fashion or stationary – or is alephya dedicated to all equally? alephya's main focus is on furniture and home accessories. Since the world of patterns is so versatile, we have delved into fashion accessories and home linens as well. Everything we make is a mix of craft, storytelling and aesthetic philosophy. Who are the products designed for? Our clients are mainly people who are sensitive to the mix and influences of cultures; they are looking for a modern approach to our Arabic heritage as we now belong to a fast-moving, global world. They are the ones looking for products that are both aesthetically attractive and culturally engrained, while maintaining functionality. Do you have a favorite alephya pattern? That's a hard one. Each pattern has it own character and uniqueness. It's extremely interesting to see how the patterns evolve from the first drafts to what you finally see. The challenge is to create something different all the while keeping the essence of the Arabic letterform. What's in the future for the brand? Our main drive is to reveal, through the transformation of the Arabic letterform, a new aesthetic realm which is the essence of the alephya brand. The development of our patterns is a major focus for us as the brand evolves constantly. We are working simultaneously on new products and collaborations. You will be seeing more of alephya worldwide and online for sure. The items are currently available at The Gallerist for purchase. All images on Bananapook are copyrighted material and all rights are reserved to the respective artists.